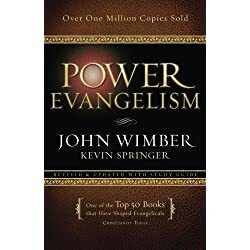 Early in my walk with Jesus, I watched certain men and women of God who had supernatural gifts flowing in their life and earnestly desired to be used similarly. I set out to learn how to have the supernatural power of God flow through me. 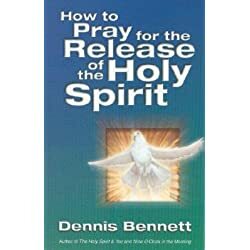 Here are three keys that I have found over the 34 years I have been a believer in Jesus that I think will help you release God’s supernatural power in your life. God is a supernatural God and if it worked for me and it will work for you. If you are going to learn how to walk in the supernatural, then you will need to learn to walk hand in hand with God. The power of God is given by Him. It is not something we earn or manipulate with a formula. It is something we learn to walk in as we learn to walk with Him. This woman gave her most costly gift to Jesus and anointed Him for His burial. This is extravagant worship. When you worship something or someone, you give everything you have to it or them. In this case, the woman gave what her most prized possession was. If we want to see the supernatural power of God manifested in our life, then we have to become extravagant worshipers. We must give our most prized possession to Him. We must give our self. When we worship, we must stop thinking about our comfort zone. We must stop thinking about what others will think of us. We must stop thinking about what is in it for us, and we need to start focusing on giving our entire being to Jesus, body, soul, and spirit. When that happens, then we will see the release of God’s supernatural power flow through us. Have any of you watched the worship at Bethel church in Redding? Honestly, I am not impressed with some of the teaching that comes out of there but one thing you cannot fault. They are extravagant worshipers. It is modeled by their pastor Bill Johnson. He is an extravagant worshiper and doesn’t care if people are watching him or not. This is the reason that Bethel church is having an out-flowing of the supernatural. They are extravagant worshipers. 12 And it happened when He was in a certain city, that behold, a man who was full of leprosy saw Jesus; and he fell on his face and implored Him, saying, “Lord, if You are willing, You can make me clean.” 13 Then He put out His hand and touched him, saying, “I am willing; be cleansed.” Immediately the leprosy left him. Here we have another example of somebody seeking Jesus for a supernatural outpouring in his life. This time the man needed to be healed of leprosy. This man was willing to break the traditional and legal boundaries of the day to fall on his face before Jesus and ask for more. To have the supernatural power of God in your life, you must be hungry for more than you have at the moment. There needs to come to a holy dissatisfaction with your spiritual life as it is now. Charismatic goosebumps and small group bless me parties have to become dry and stale and not enough to satisfy your hunger. You have to be willing to go beyond what is happening around you and seek God for more of His power in your life. Many people do not know the story of John Kilpatrick who was the pastor of the Brownsville Assembly of God. He got tired of church as usual and started to go to the church and fall on his face asking God for revival in the middle of the night. Pastor Kilpatrick would cry out to God, alone and by himself, for revival. 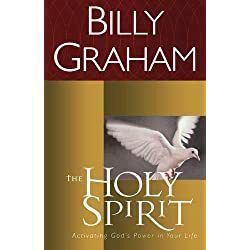 He knew that there was more to be had by himself and others through the power of the Holy Spirit. As a result, he pressed in and persevered until one of the most significant moves of God in the last 50 years broke out at his church. I am not one that believes in going from meeting to meeting, conference to conference, chasing down signs and wonders. I believe that we don’t have to find God because God is here. However, there is a difference between chasing experiences and using a conference or meeting to get refocused. Sometimes we are so stuck in our religious traditions and ruts that we cannot see how God is moving because we are so focused on what we don’t see God doing. One of the reasons I watch various revivals that are happening around the world is so I can keep focused on what God is doing rather than what He isn’t. It opens me up to more of Him. It shows me that a move from Him is possible and strengthens my faith to see God do it in my own life. This too is part of the path of humility. We always need to remember that we do not still have all the knowledge there is to know about God’s power and that God actually could be using people in a different stream or type of Christianity than our own. In conclusion; Humility is what allows us to venture outside of our box to learn how God is moving in other places with other people. Hunger places us in the position to experience some of those realities in our own life. Humility recognizes that there is more of the supernatural power of God to be experienced. Hunger causes us to do something about it.